Moog DFAM (drummer from another mother) Semi-Modular Analog Percussion Synthesizer is a highly-interactive, Semi-Modular Analog Percussion Synthesizer and an inspirational alternative from the traditional drum machine. Painstakingly handcrafted by skilled engineers at the Moog Factory, the DFAM presents an expressive hands-on approach to percussive pattern creation. No experience is necessary to begin making incredible beats and bass. DFAM’s emotive sound begins with a white noise generator and two wide-range analog oscillators. Oscillator hard sync and FM cross-modulation invite smooth transitions amongst rhythmic pulsations, complex sounding beats and basslines can be produced in seconds. DFAM’s distinctive voice is then shaped by a versatile Moog Ladder filter with two selectable modes - Low Pass mode imparts impact and dimension to each sound it touches, while High Pass mode opens the door to naturally expressive strikes. 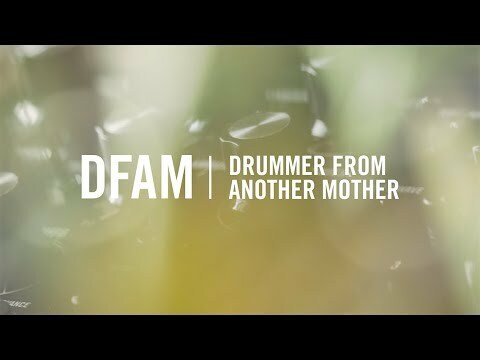 DFAM behaves like a living organism thanks to the analog engine, reacting in different ways to different people so that you get a totally unique sound. This is made possible due to 3 dedicated analog envelopes working dynamically with the sequencer to ensure that each element can sound out organically. Each Moog DFAM comes complete with a package of patch cables that unlock access to the 24-point modular patch bay. Use it to create new and bizarre sounds, synchronize an unlimited number of DFAM and Mother-32 units together, or fully integrate your existing analog instruments. With the Moog DFAM Semi-Modular Analog Percussion Synthesizer, the edge of the universe is the limit.